Today is Chinese New Year – the official beginning of the year of the Snake. You may witness a Dragon parade in the China Town near you. Today is Chinese New Year – the official beginning of the year of the Snake. You may witness a traditional style celebration in the China Town near you. 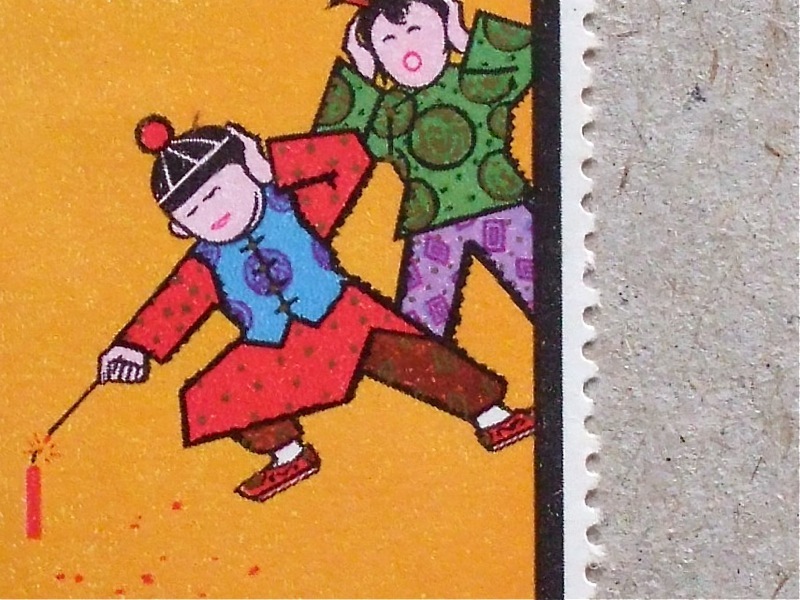 This set of stamps are from Taiwan – and they were printed in Japan. I enlarge a part of it, as you can see the sparkling collaboration between a Taiwanese designer and Japanese print technician on the pattern of traditional costume.